In an interview with The Verge that was published last week, Amazon's SVP of devices and services, Dave Limp, revealed that more than 100 million devices with Alexa on board have been sold. The numbers can be broken down even more. Over 150 different products are equipped with Alexa, with third party manufacturers responsible for more than 100 of them. In addition, the virtual personal assistant is found on 28,000 smart home devices made by 4,500 different manufacturers. What is interesting is that Limp says that Amazon is a big believer in using multiple assistants on the same device. "We think they will interact in lots of different ways," the executive says. So now you know that it isn't Amazon that prevents a third party smart speaker from hitting the market with both Alexa and Google Assistant installed. And while 100 million devices sounds like a lot, the number pales compared to the possibly billions of active mobile devices that are equipped with Siri or Google Assistant. The problem that Amazon faces, is that if people aren't willing to commit to multiple assistants, guess which one will be the odd woman out? While Limp didn't break down Echo sales totals, he did mention that the low-end Echo Dot has sold better than expected during the holiday shopping season. The executive said that Amazon was "pushing pallets of Echo Dots onto 747s and getting them from Hong Kong to here as quickly as we possibly could." 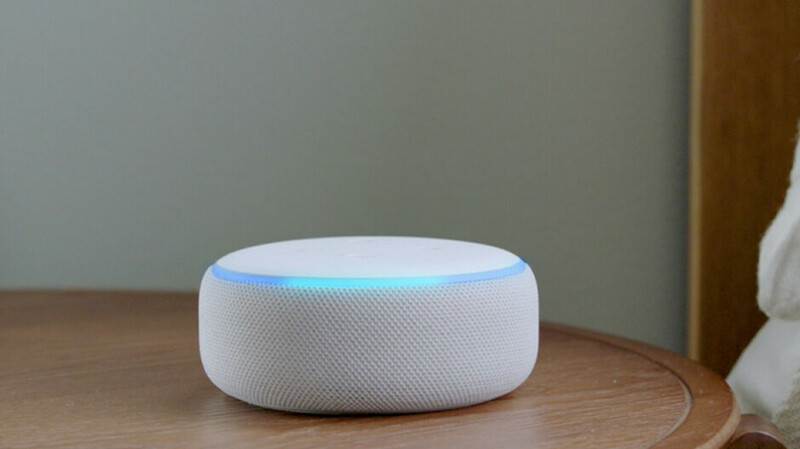 As a result of the strong demand for the smart speaker that resembles a hockey puck, the $29.99 device is sold out through the rest of January.